Zander Keig. Photo from Washington Post article. Do men really have it easier? The Washington Post interviewed transgender men and found the answer is not so straightforward. National Association of Social Workers (NASW) member Zander Keig, LCSW, MS, is one of the men who was interviewed. 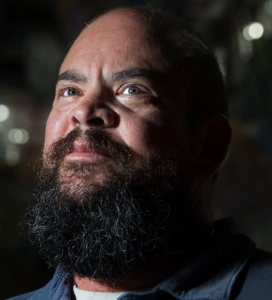 Before he transitioned Keig, who is the NASW California Chapter Social Worker of the Year and sits on NASW’s National Committee for LGBT issues, was a radical feminist. Keig also notices that less friendliness and kindness is extended to men in public. “It now feels as though I am on my own: No one, outside of family and close friends, is paying any attention to my well-being,” he said. Read the full article to learn what transgender men think about the way women and men are treated in our society. Social workers help people overcome life’s challenges, including people who are LGBT. Visit NASW’s HelpStartsHere.org website to learn more.